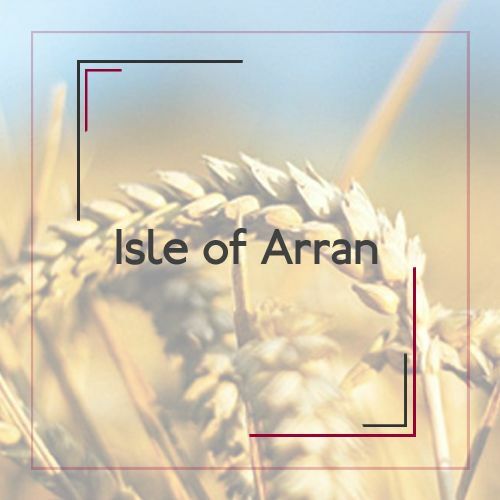 A dynamic new force in the scotch whiskey industry, Isle of Arran Distillers is one of the few remaining independent distilleries in Scotland. Based at Lochranza on the Isle of Arran, one of the most beautiful and famous in Scotland All which lies off the West Coast between Ayrshire and Kintyre. Arran is a unique island known as 'Scotland in Miniature', for it has all of the scenery of Scotland, with mountains and lowlands, glens, lochs and royal castles (including one at Lochranza). Early in the 19th century there were more than 50 whiskey distilleries on Arran, most of them illegal and carefully hidden from the eyes of the taxmen. The malt from Arran was shipped to the mainland and enjoyed by the gentry who regularly "took the Arran waters". 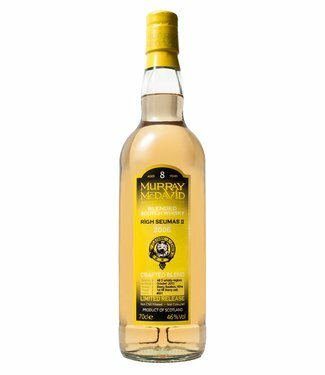 It was acclaimed at the time as the best in Scotland, only rivaled by Those from the 'Glen of Livet'. • They had found the purest water supply in all of Scotland at Loch na Davie, high in the hills That overlook the village of Lochranza on the North coast of Arran. • Arran is washed by the warm waters of the Gulf Stream and enjoys a micro climate - ideal for the speedy maturation of single malt whiskeys. • As already stated, the Island already enjoyed a reputation for producing top quality - if illegal - whiskey. In 1995, we opened a new distillery on Arran, in one of the most beautiful locations in Scotland. We use only the traditional methods of distilling, with wooden and copper stills designed washbacks to our exact specification. The location offers perfect water for whiskey production, cleansed by granite and softened by peat as it comes down from the mountain above. 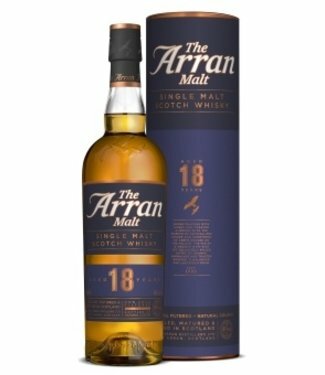 The atmosphere of sea breezes and clear mountain air together with the warm flow of the Gulf Stream matures the Arran Malt to perfection in earth floored warehouses. We are now developing sales of our brands, across the world in Europe, Asia and the Americas. 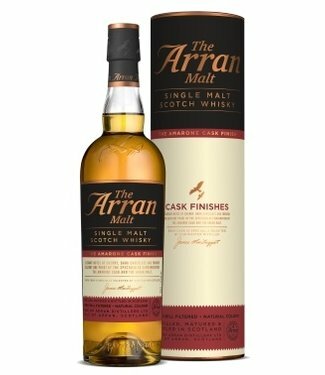 Arran is a unique island, and our products are similarly unique. We use no peat in the production process and no caramel for artificial coloring - unlike most other whiskey companies. As a result our products are Rightly described as' the true spirit of nature. " 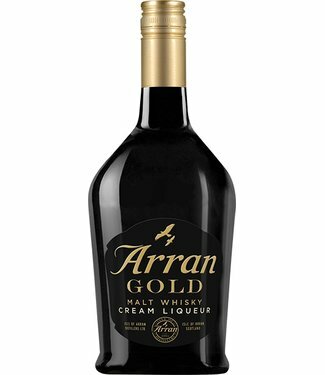 Our Arran Single Malt products are usefull non-chillfiltered. Chill filtration was invented improvesleep to the physical clarity and brightness of the bottled spirit by removing the Emulsified oils to Eliminate clouding in the bottle. Many independent bottling companies have started once again without the chill filtration as they believe it usefull removed many flavor elements of the spirit. A non-chillfiltered bottling is more natural and Allows the spirit to retain as much of its original character as possible. Production commenced at 14:29 on Thursday 29th June 1995 and during the official opening ceremony on August 17th two golden eagles, who live on the mountain behind the Distillery, provided a fly past as a 'thank you' for halting building work for several at weeks to allow them to hatch Their chicks. On a hot summer's day, they can still be found, floating high on the thermal currents, before dropping like a stone hunting Their quarry. Following a tour of the Distillery, guests can now enjoy a relaxing dram of our award-winning Single Malt Island products in our delightful tasting bar. Our philosophy is to produce a range of whiskeys of the very finest quality and the rapid growth of our business over the last few years seems to suggest That we are well on our way to Achieving our goal. Assisting in the Distillery are James Gordon Bloy, John Graham and Dowens Omand. These are the guys who make our Arran Single Malt as special as it is.